In Which the Pirate Tallies up 2018. 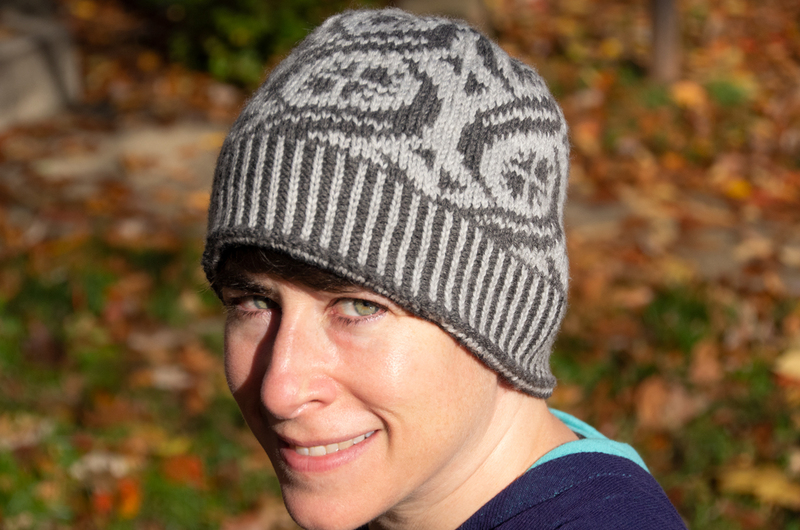 Just one, the Crossing Trails Hat - but it raised over $50 for cancer research! Comments Off on In Which the Pirate Tallies up 2018. In Which the Pirate Cleans Up. Michael has had this patriotic Sugar 'n Cream cotton yarn sitting on his windowsill for... well, for a while. 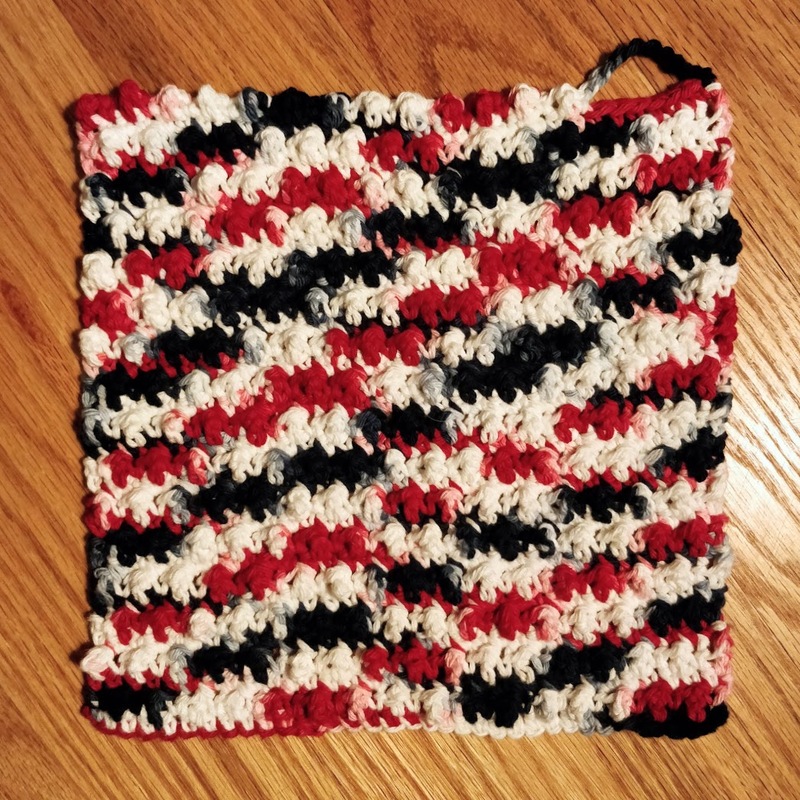 He'd thought he might learn how to crochet, but that didn't really happen, so on Sunday while we were watching the football games I made a new washcloth, using my own Scrubbing Nubbles pattern (which is free on Ravelry, if you want to make a washcloth too). Now his living room is a little bit neater. And so's his closet, because he gave me some other yarn that's been languishing for probably a decade - two skeins each of yellow and white Baby Ull (at least, that's what I remember it being - the ball bands are long gone) and four balls of Baby Cashmerino in navy blue. I happily brought this home and re-wound it on the ball winder, since it had all been wrapped up around cardboard tubes. Unfortunately the Baby Ull had quite a few broken strands on the outside of each ball, but I was able to salvage most of it. I didn't see any signs of bugs anywhere, so the damage is probably quite old, and I'm not going to worry about it. The Cashmerino is totally fine! 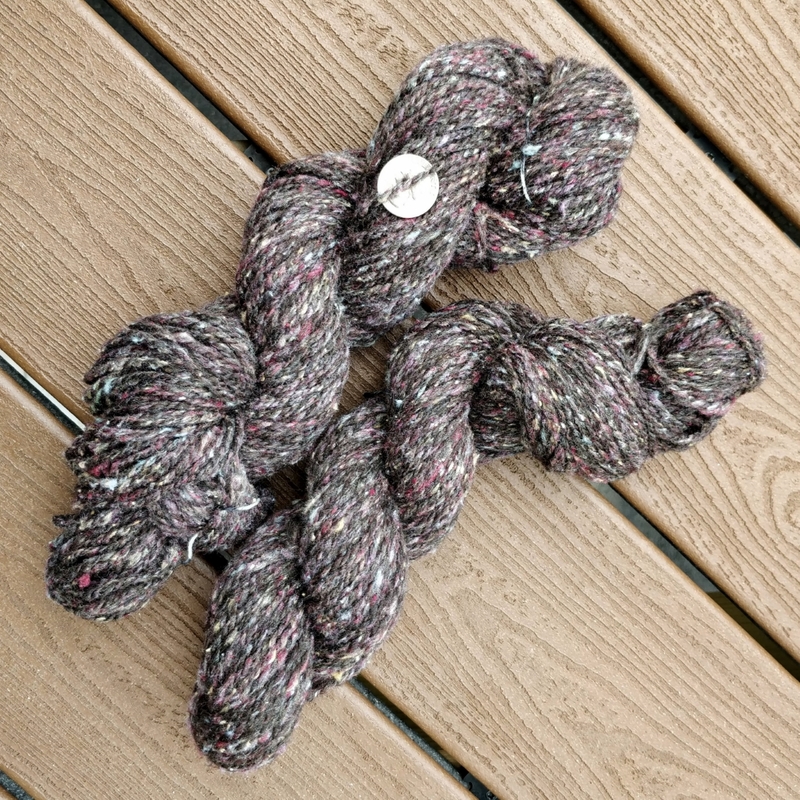 I'm considering using it all together to make something like the Barndom shawl. Of course, that's just a thought, and thoughts change as time passes... who knows what this might become! Comments Off on In Which the Pirate Cleans Up. In Which the Pirate Goes to MD Alpaca and Fleece. 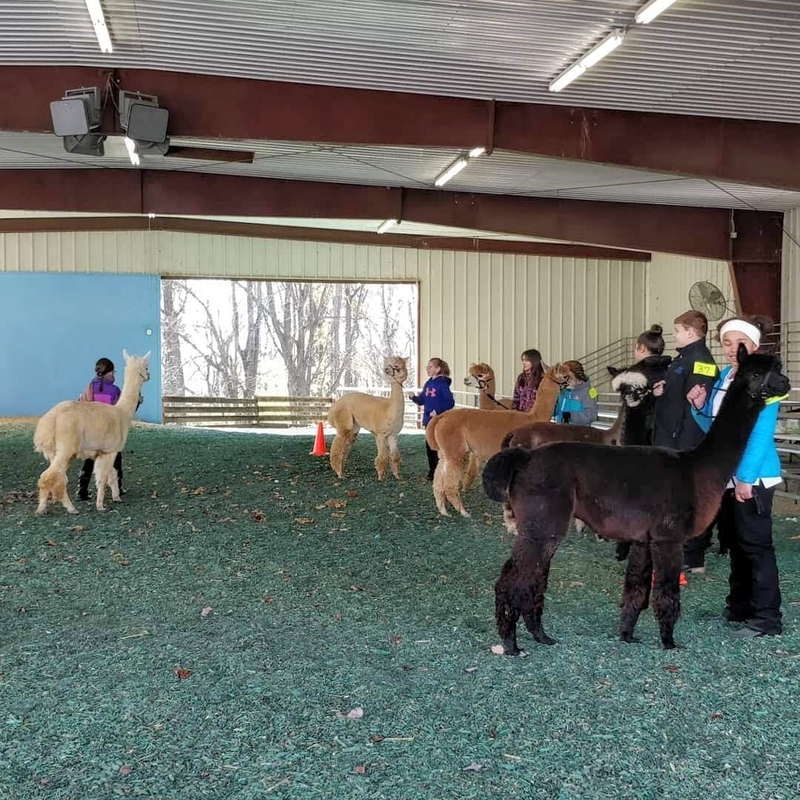 Yesterday I went to the Maryland Alpaca and Fleece show with a carful of friends. It was considerably smaller than May's Sheep and Wool, and also quite a bit colder and windier. I was more than a little tempted to buy a woven blanket and wear it under my coat! 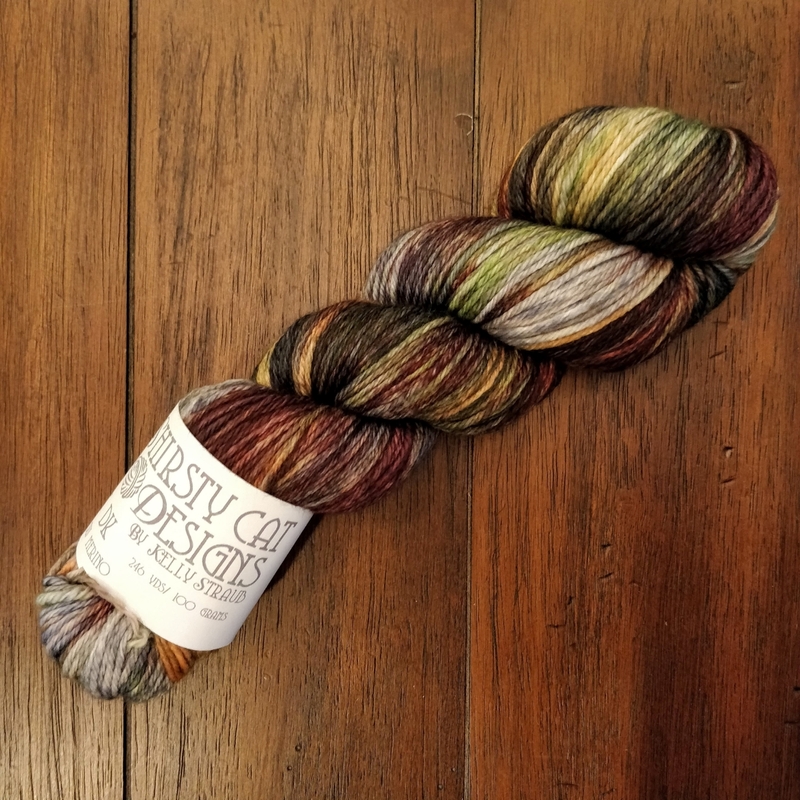 Instead, I bought this skein of DK weight yarn from Shirsty Cat Designs. 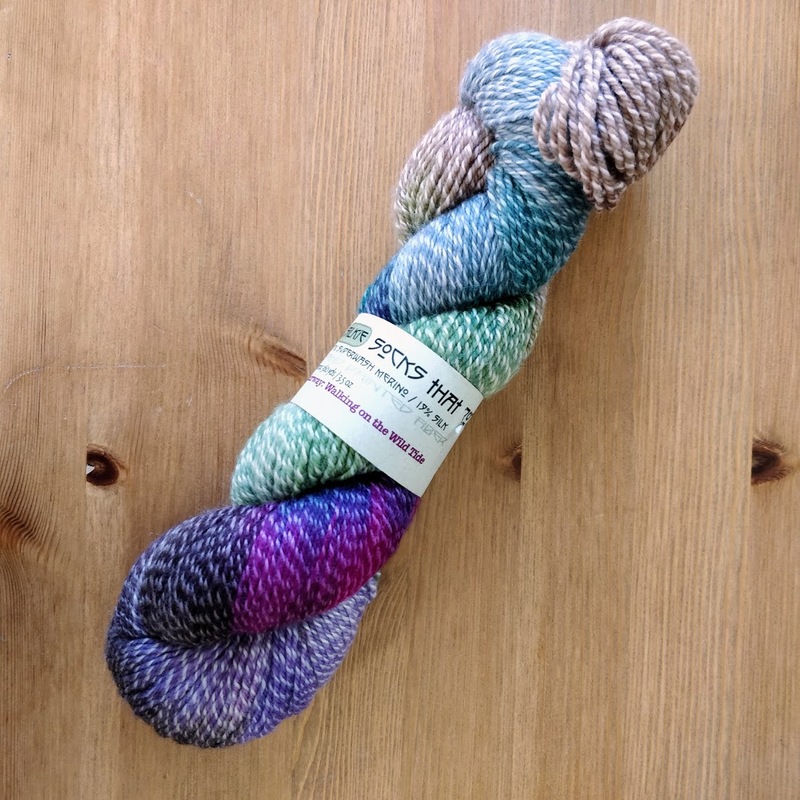 It's so variegated that I'm not sure what colour to call out; the colourway is "Alstroemeria" and it's got some greens and golds, both dark and light blue, and some eggplant purple in it. 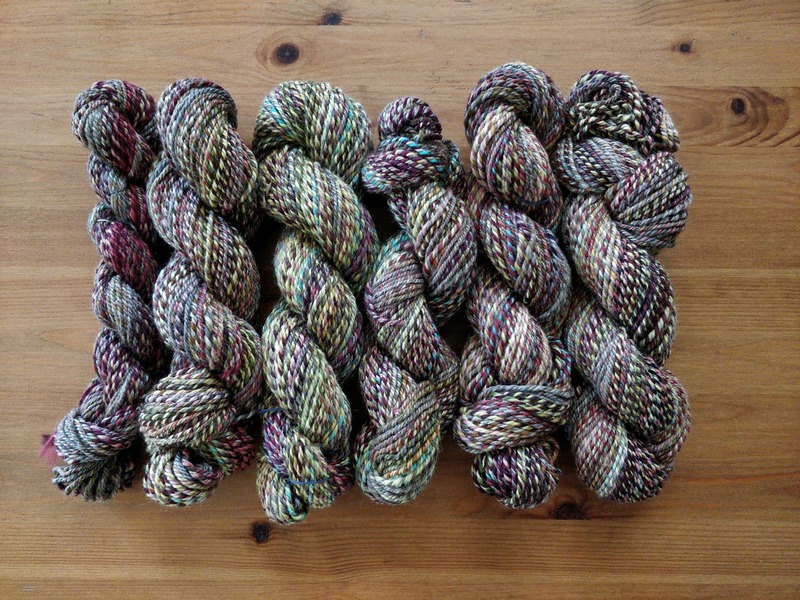 The skein is so different from one side to the other that I had to take two pictures of it for my Ravelry stash. Now the question is, of course, what do I make with it? 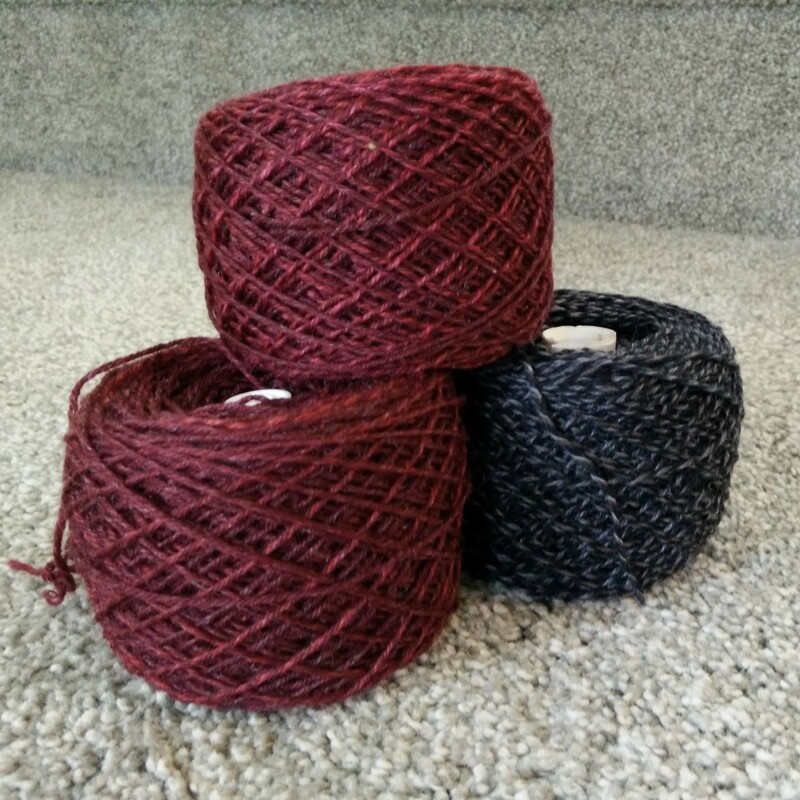 I'm leaning towards a floppy hat with a slipped-stitch pattern that will help minimize - or perfectly highlight - the beautiful variations of colour in this yarn. 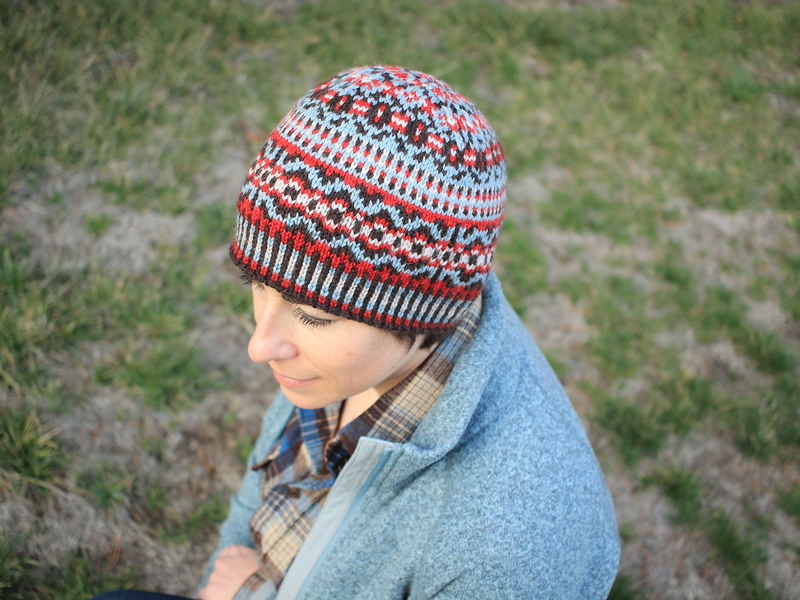 It worked for the yarn I used to make the Acres Wild hat, and I'd like to try something similar. In Which the Pirate's Custom Blend Arrives. 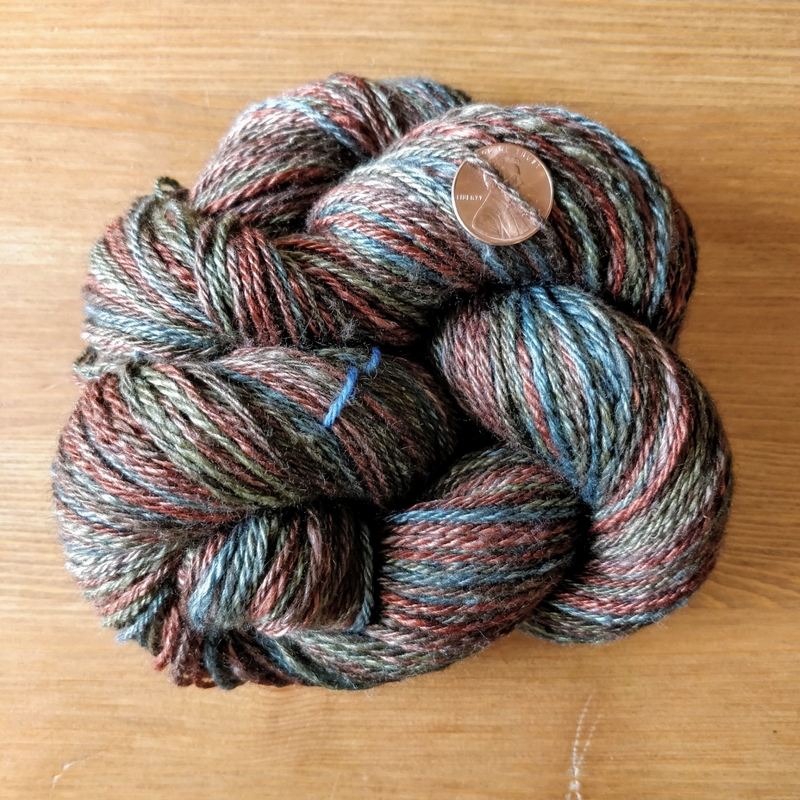 After a wait which *seemed* like a very long time but was in reality only about three weeks, my custom yarn blend from World of Wool has arrived! 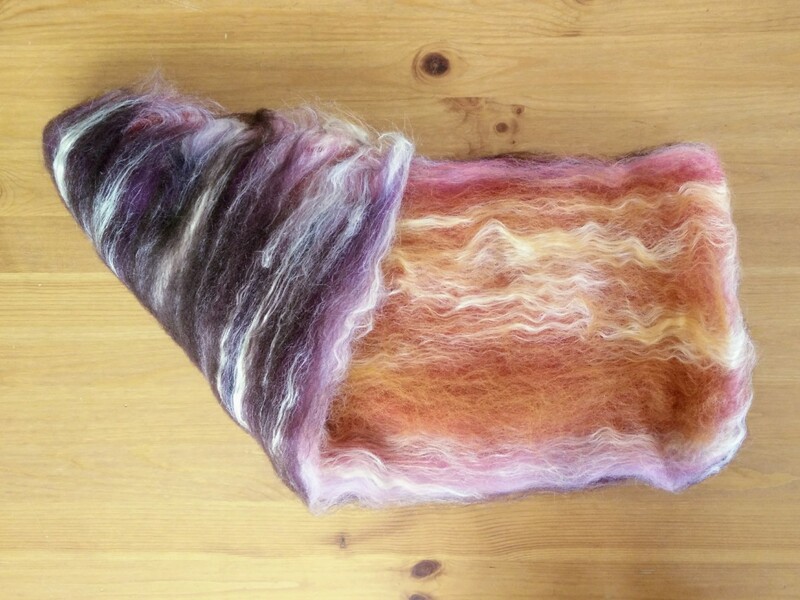 Here it is still in the bag, which gives a pretty good idea of the eventual overall colour once it's all spun up and the individual wools are blended together. I'm expecting (and hoping for) something on the desaturated teal side of green, with a few heathered pops of pink and lime here and there. 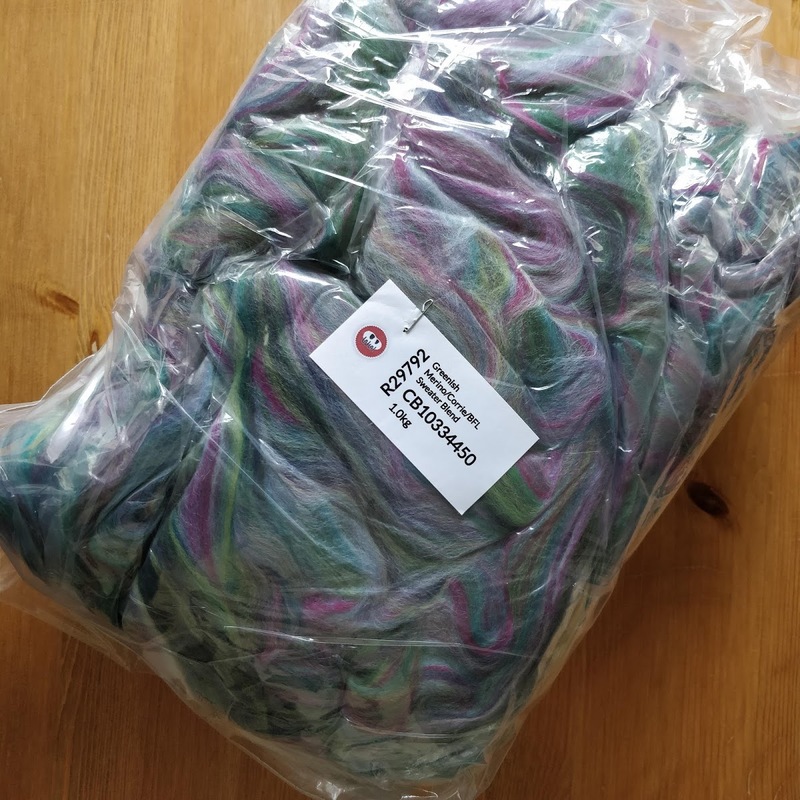 They vacuum-sealed the bag for minimal shipping space, and when I opened it up the wool took a deep breath and spread out quite a bit. Close up, you can see the eight different colours that I chose. 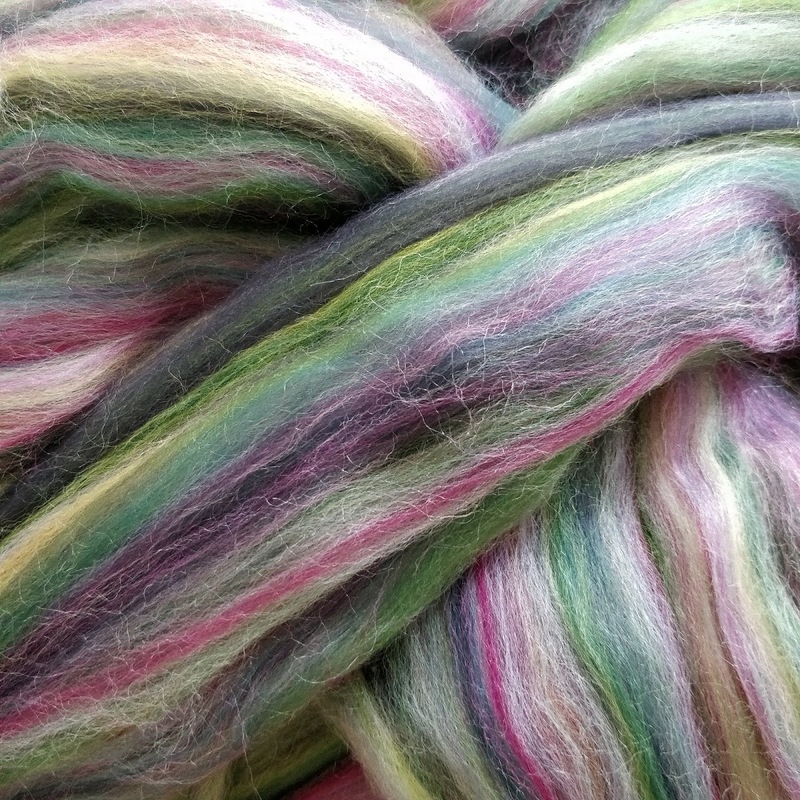 The fibre is 50% Corriedale, 25% Merino, and 25% BFL. It feels a little bit stiff - somewhat less soft than I was expecting, but then, I chose the Corriedale for sturdiness rather than softness. And, to be fair, I've been spinning that yak-silk blend, so maybe that's thrown me off and I just need to recalibrate my softness-sensors. 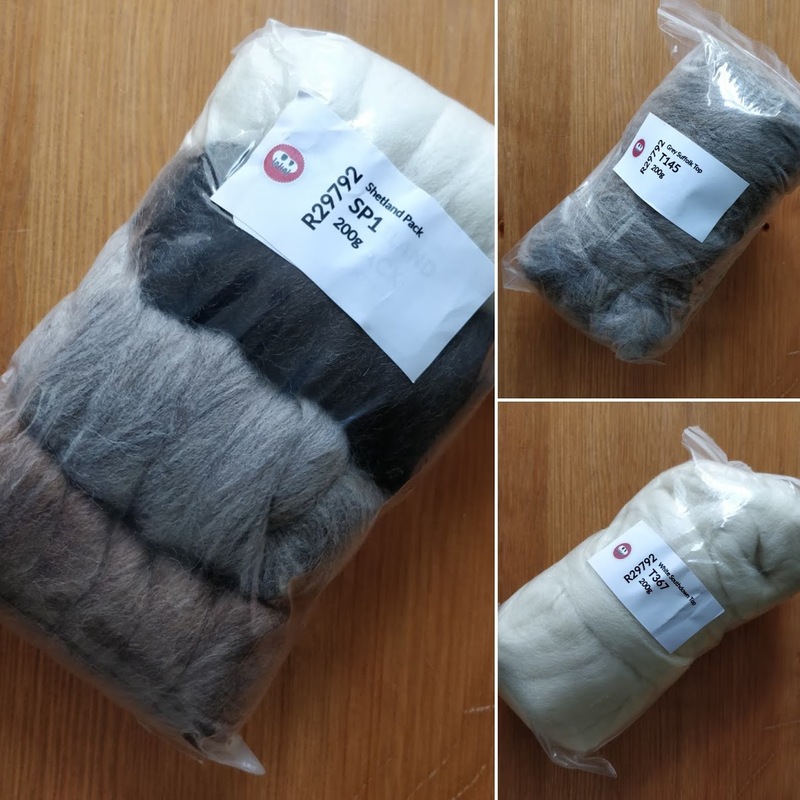 Since I was already paying for international shipping, I added some undyed wools to my order. 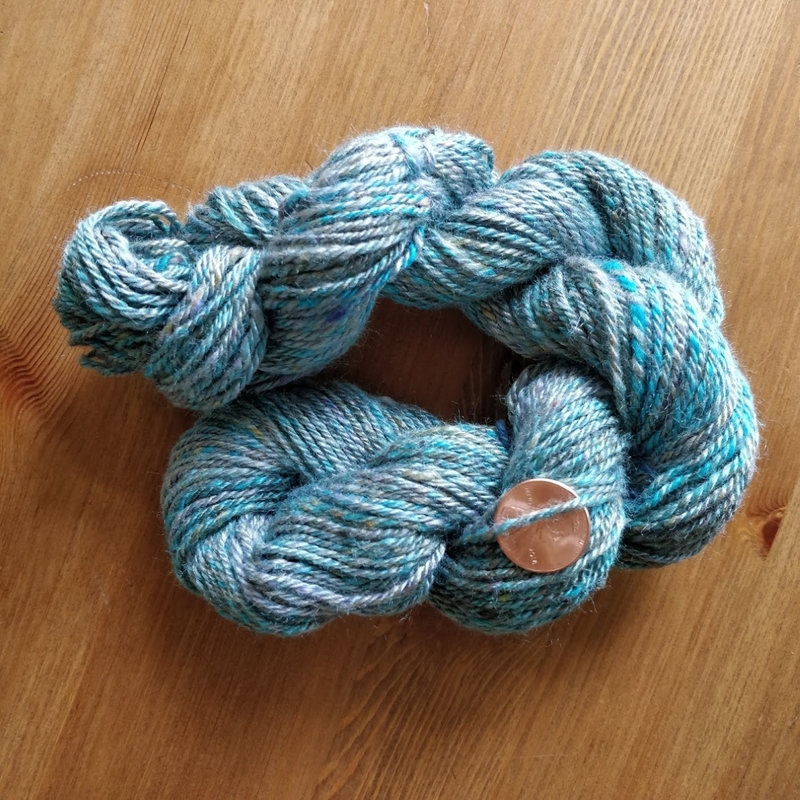 There's a sampler pack of Shetland in 50g each of four natural colours, with which I might get ambitious and spin into laceweight for a shawl, and then I got 200g each of Suffolk and Southdown, both of which I've heard are excellent for handspun socks. 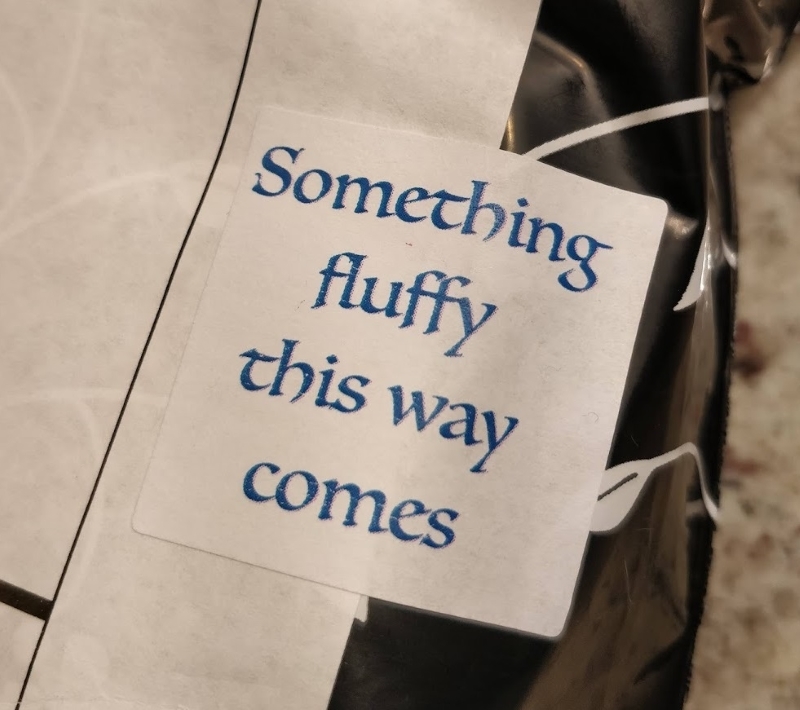 Comments Off on In Which the Pirate's Custom Blend Arrives. In Which the Pirate Gets New Fibre. I got six one-ounce samples. They're crisp but not crunchy and smell deliciously sheepy. Seriously, I have shoved my face into the little bundles at least three times already. 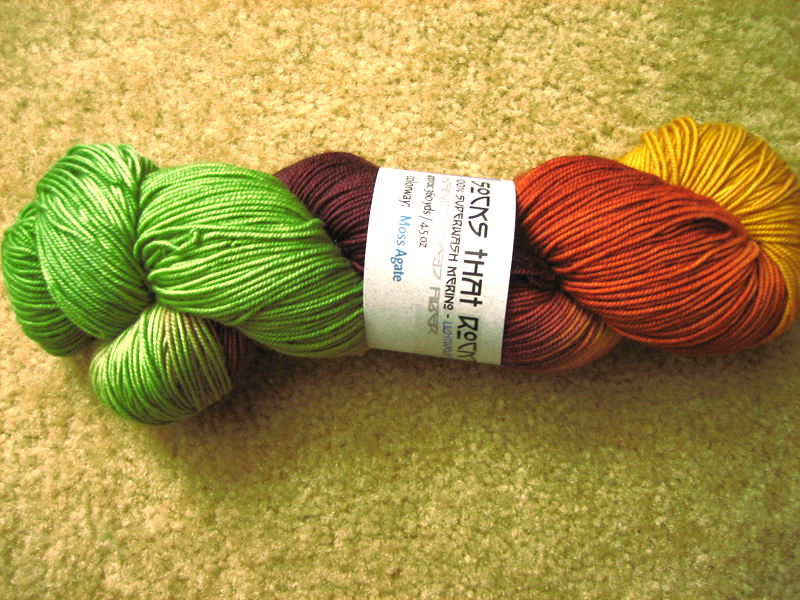 But wouldn't this make two gorgeous gradients? I can't start spinning it until I clear the bobbins, though. I'm plying my TdF combo spin and wishing that the Woolee Winder bobbins for the Schacht-Reeves held a full four ounces (they don't). And that plying job will take approximately forever, since I mean to cable the two two-plies together - each one has to be awfully overplied first, so it takes twice as long just to make the two-ply part of it, and then I have to ply the whole thing again. It will be worth it! Comments Off on In Which the Pirate Gets New Fibre. In Which the Pirate Knits in Public and Goes to a New Shop. Last weekend Michael and I went to a Knit in Public event at a local winery, where we met up with friends, drank wine, and worked on our respective socks. 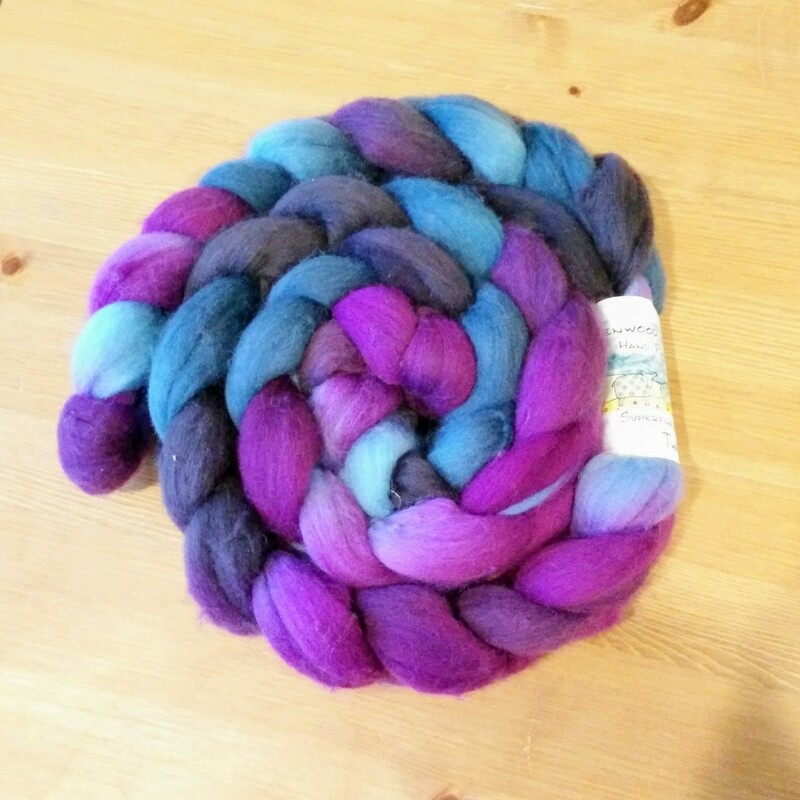 This weekend I had the opportunity to go with my mom to her LYS, Laughing Sheep! We spent a while looking through this glorious stack of yarns, as well as all the other cubbies and shelves. 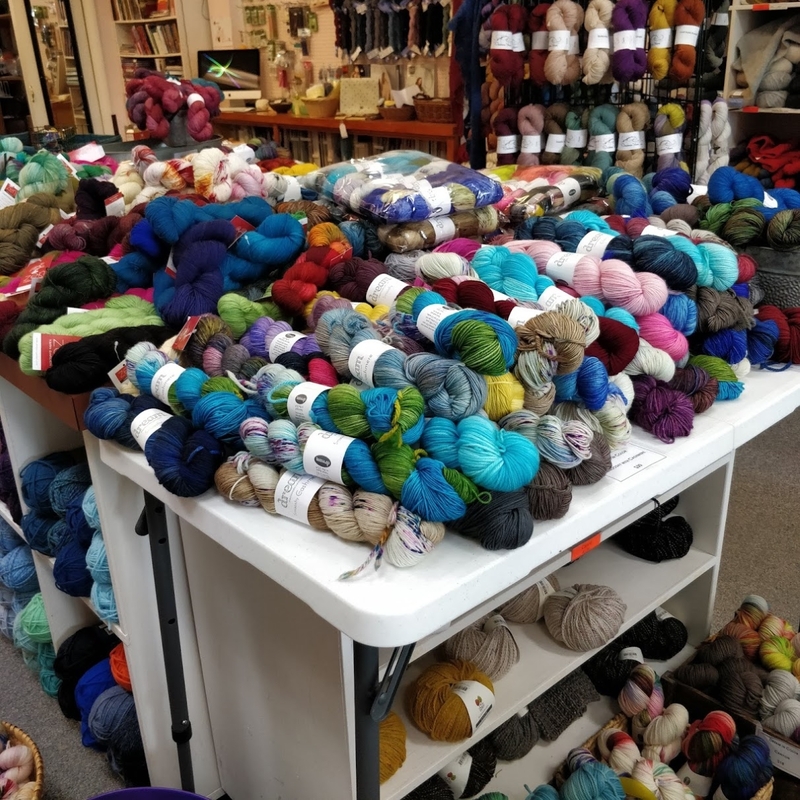 Mom goes to a weekly knitting group at the shop, and some of the local folks were there yesterday. It was nice to meet her group and show them what I've been working on, and I know she enjoyed showing *me* off to them! 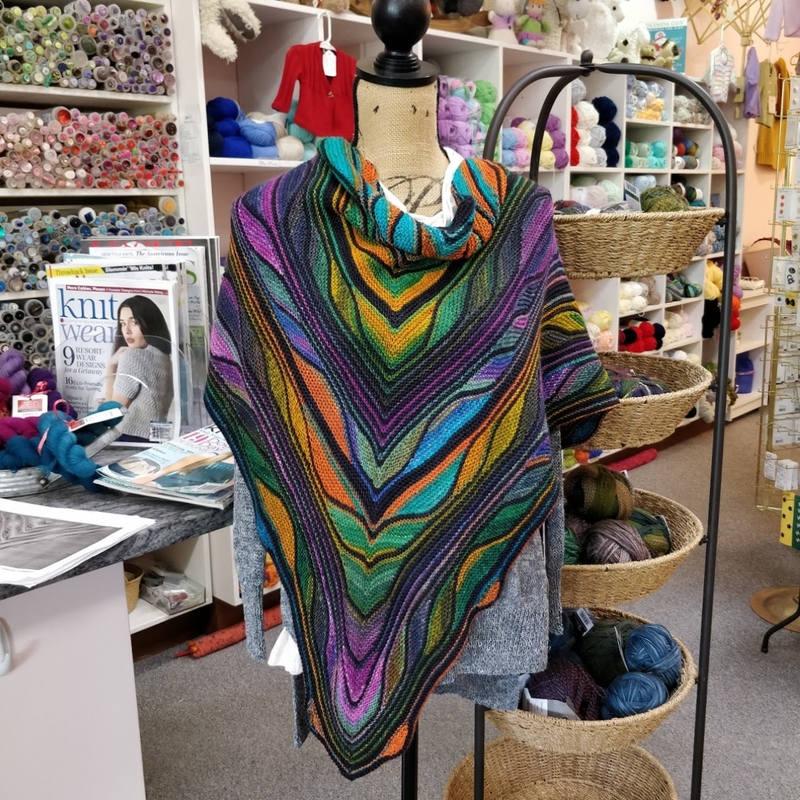 They're getting ready to do a knitalong for this amazing shawl, Butterfly/Papillon. I might have to borrow the pattern from her after she knits it... isn't this just beautiful? P.S. Apparently turquoise is a very difficult colour for a camera. My phone wouldn't accurately capture it so I got out the point-and-shoot, which also had troubles. 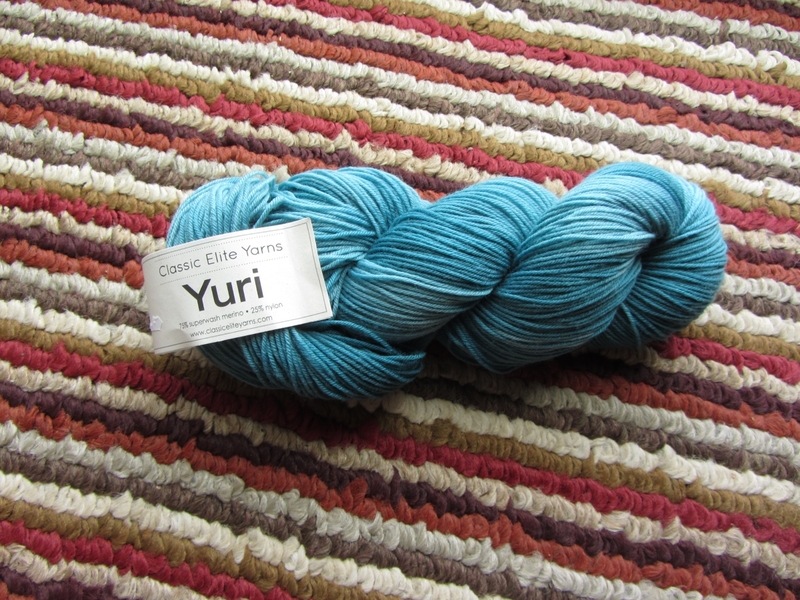 The yarn showed up as far more blue than it actually is, and I had to do a lot of fiddling with the settings to get a good representation of the colour. Any advice on this subject is definitely welcome! Comments Off on In Which the Pirate Knits in Public and Goes to a New Shop. In Which the Pirate Tallies up 2017. I feel really good about my projects this year! I got a lot done. They're all together on a 2017 Projects page. The Moorefield Hat, for sure. 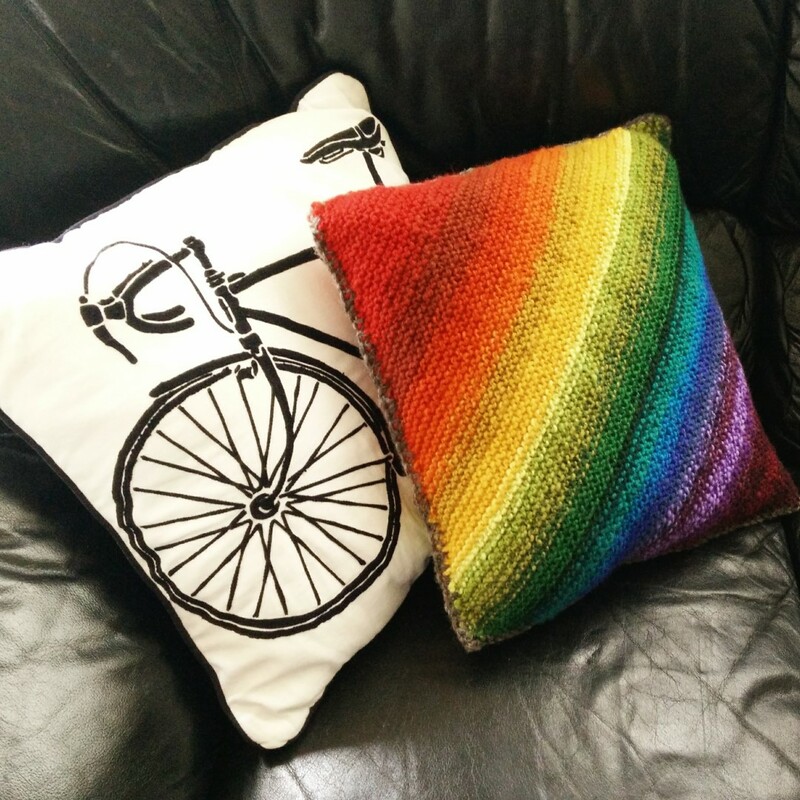 I love the colourwork - and how warm it is! Comments Off on In Which the Pirate Tallies up 2017. In Which the Pirate Finally Finishes. A very kind Raveler sent me a bit of their leftover yarn so that I could finish the Textured Socks. So finally, almost a year after I started them, they are done! Hooray! 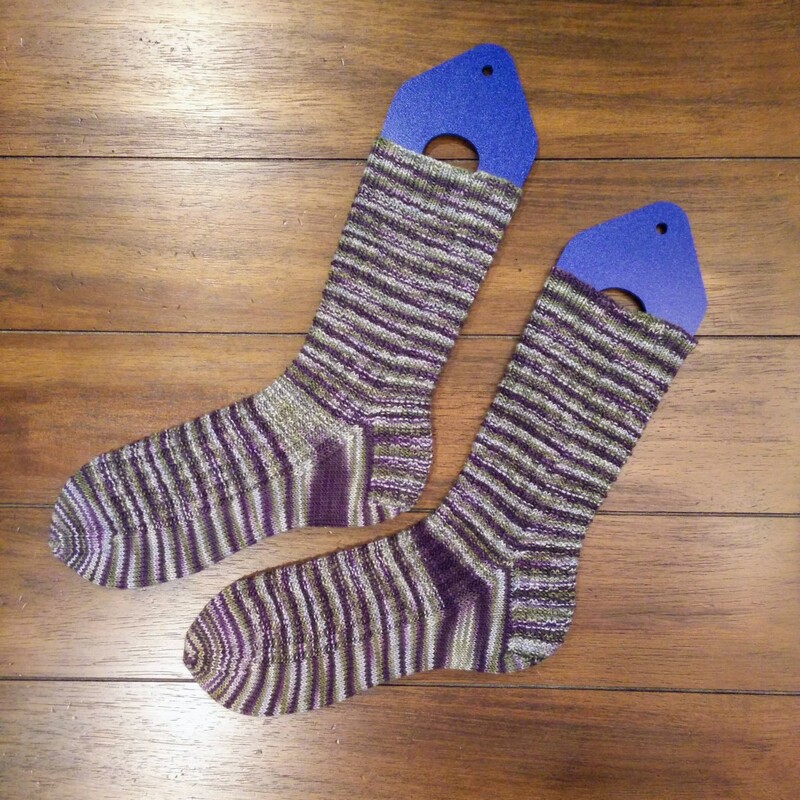 I used the free Stanton pattern and just over one skein of Socks that Rock Lightweight in the Smokey Mountain Morn colourway. The pattern was well-written and easy to follow, though I made a few adjustments: lengthening the toe slightly and widening the heel turn. I chose to keep the stitch pattern down the back of the heel flap, but slipped the first stitch on every row to make picking up the gusset easier. 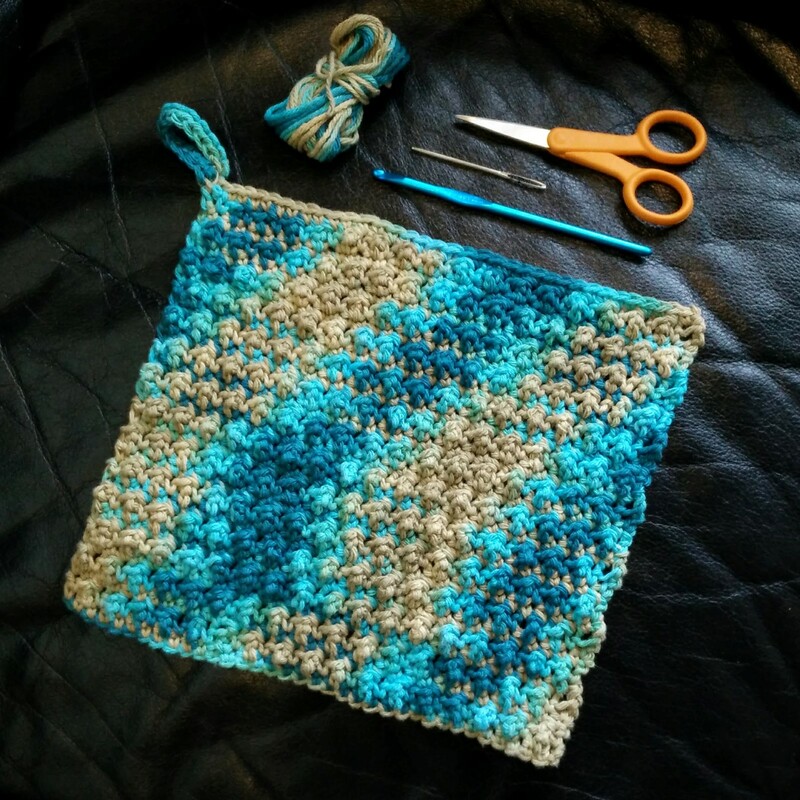 The stitch pattern is quickly memorized, and gives a good all-over texture that adds interest to the spirals of this variegated yarn. It draws in a bit like ribbing, so these socks should fit snugly. 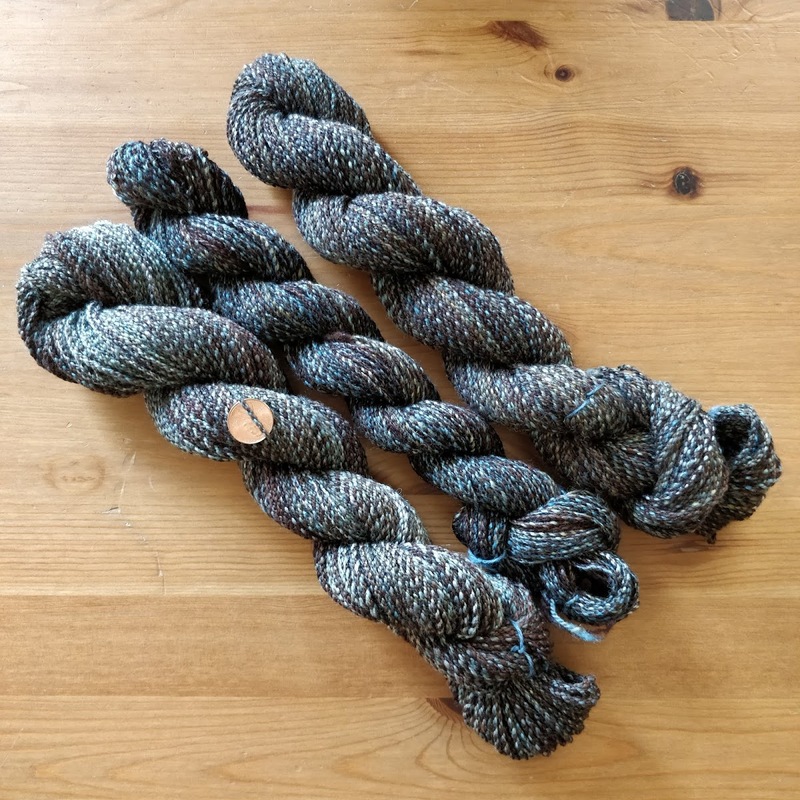 Apparently Socks that Rock Lightweight now comes in a larger skein than when I bought this yarn - 405 yards instead of 360. 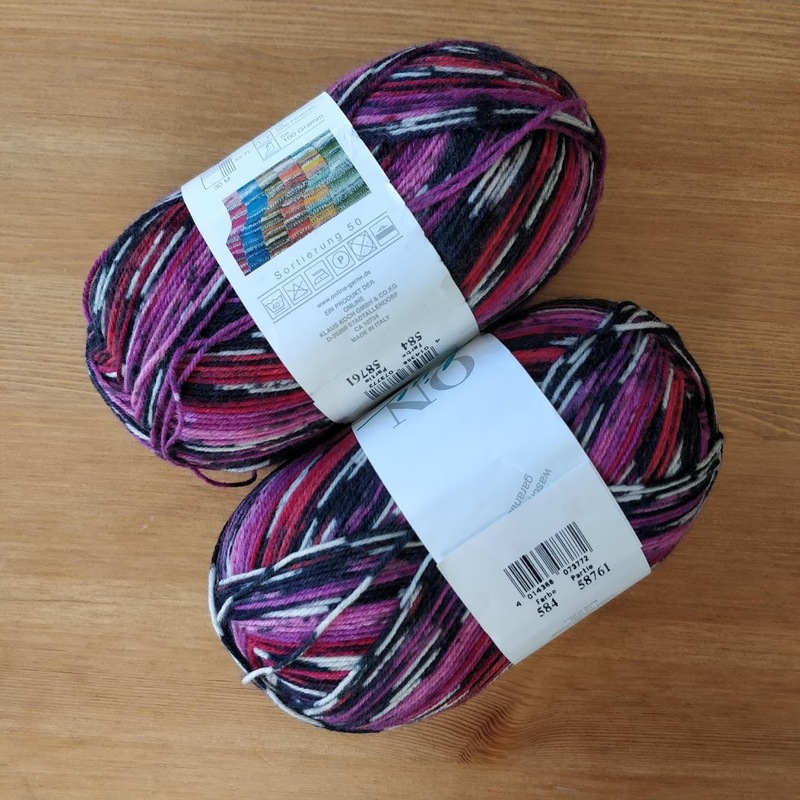 The price has gone up to match, but at least if I decide to use the yarn again, I'll have a better chance of getting a whole pair of socks out of one skein. 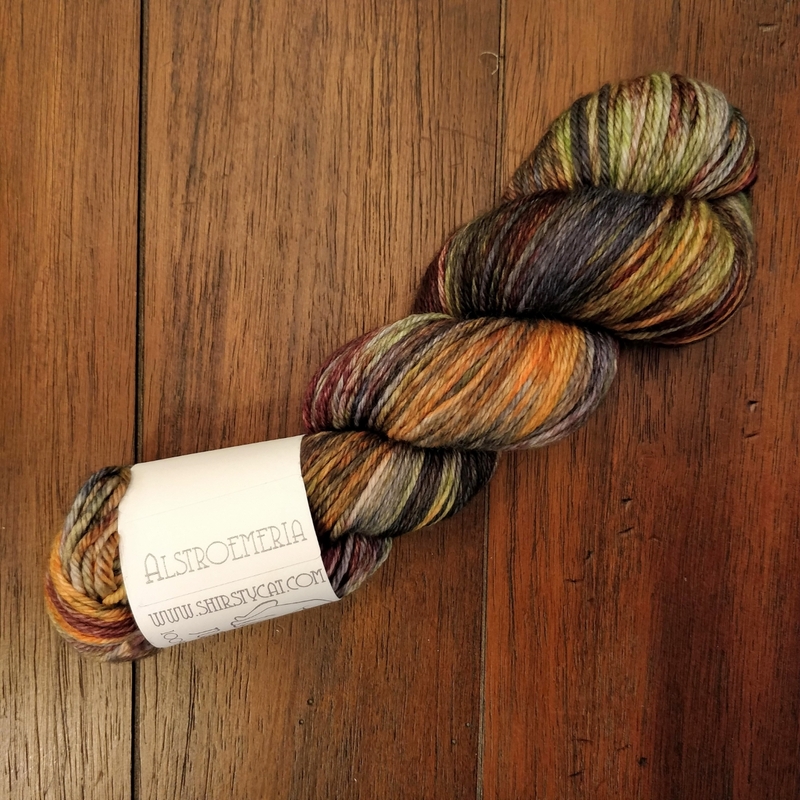 One of the older, smaller skeins is still in my stash, in the "Moss Agate" colourway. If anyone wants to buy it from me, I'll send it on. $23 includes shipping anywhere in the continental United States; I'll have to do the math on postage to other countries. It's quite pretty but now I know from experience that it just won't make socks big enough for me. Comments Off on In Which the Pirate Finally Finishes. In Which the Pirate Catches Up. The pillow form arrived during the first weekend of the Tour, and I used some leftover handspun Jacob in a medium gray shade to crochet the two sides together. I'm really pleased with the finished product! My original thought had been to make a felted pillow, but I liked the feel of the fabric - and the size - so I just left it alone. It's heavy and squooshy and comfortable, and looks great on the black leather couch - though its final home will probably be on the futon in my office. 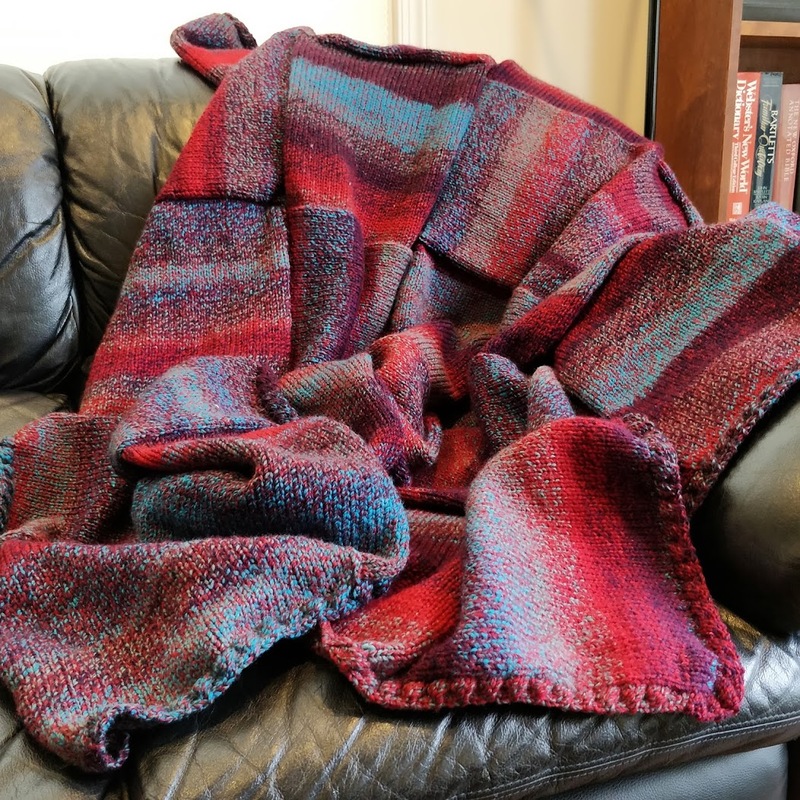 This project was fun from start to finish; I got a lot better at longdraw spinning and then it was such a good feeling to knit a quick and easy project with my own handspun yarn on big needles. The first week of the Tour went well, and then I crashed - but I'll write about that next time. Meanwhile, I'm playing yarn chicken with the socks I started last fall, and I think it's a losing game. I'd anticipated this, so when I grafted the first toe shut I didn't pull the stitches tight. 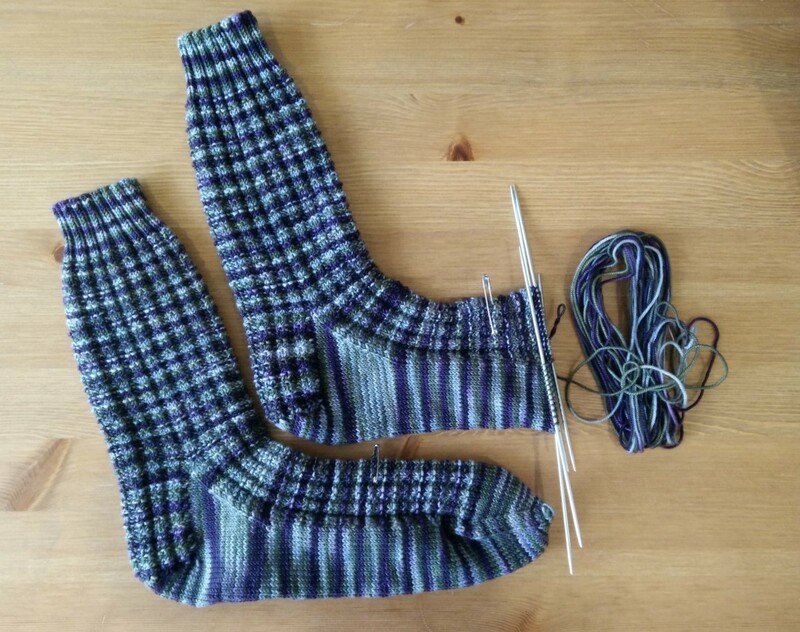 If I have to rip out that toe for the extra yarn I will, and then both socks will be given contrasting purple toes. Not what I'd hoped for, but that's how it goes sometimes. Meanwhile, I've been super busy! I bought a new (slightly used, but new to me) car and sold my old car last weekend, then started a new job on Monday, and I'm excited about both those things - but so drained from having two adventures in one week. 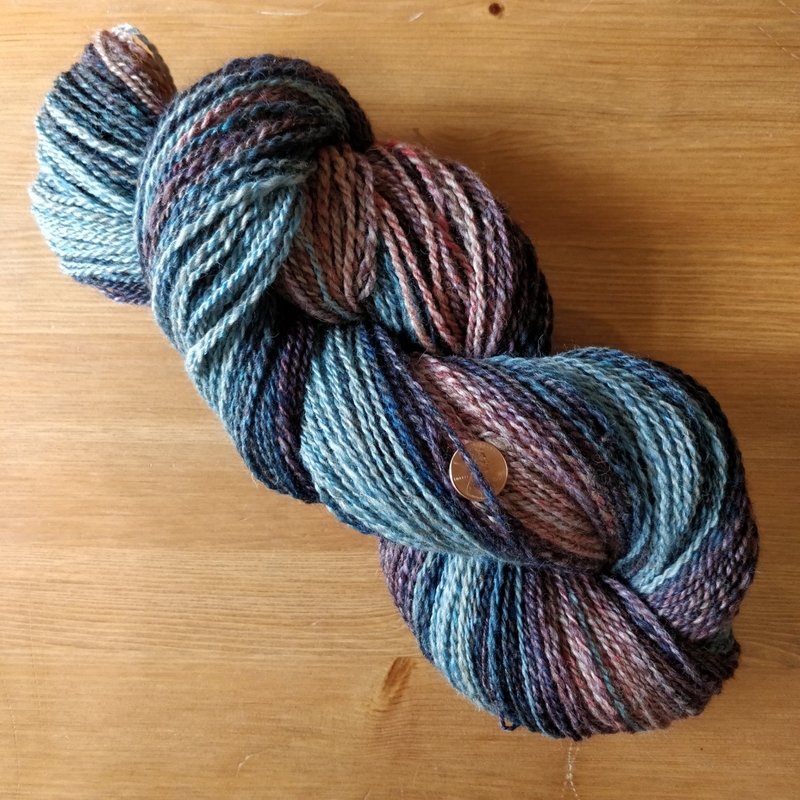 Last night when it was still too early to go to bed, but I was too tired to do anything that required any mental effort, I pulled out some Lang Jawoll sock yarn that a friend sent me. 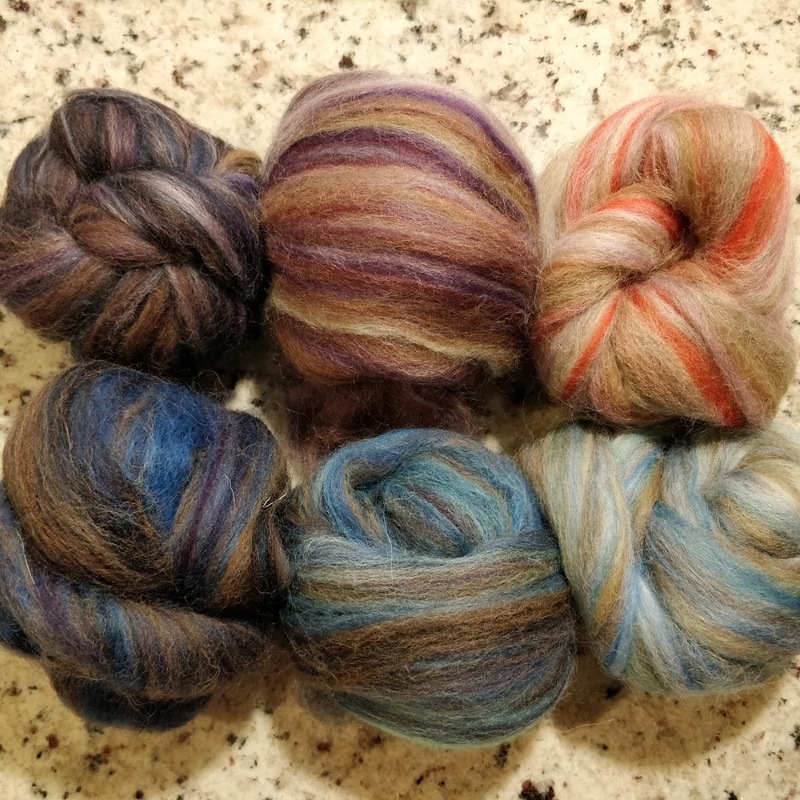 She'd somehow made a tangled mess of the skeins without ever knitting any of it... but now they're all detangled, wound into loose cakes, and added to my Ravelry stash. Comments Off on In Which the Pirate Catches Up.